[See my post before the Olympiads began]. 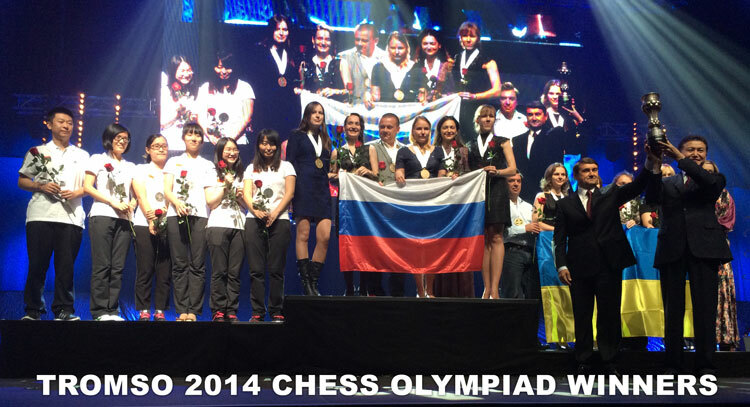 For the third time in a row, our women’s Russian team won Gold, this time at the 2014 Tromso Chess Olympiads. 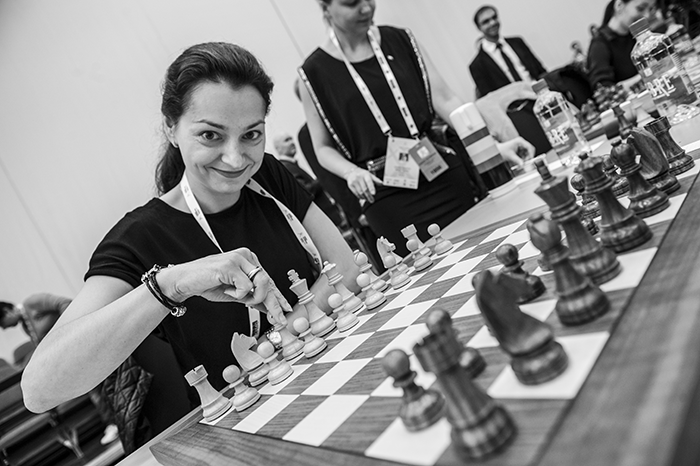 It was an incredibly tough battle, as expected, and our team, made up of GM Valentina Gunina, myself GM Alexandra Kosteniuk, GM Kateryna Lagno, WGM Natalija Pogonina, and WGM Olga Girya achieved 10 match wins out of 11, including a decisive match win against the key competitors China. 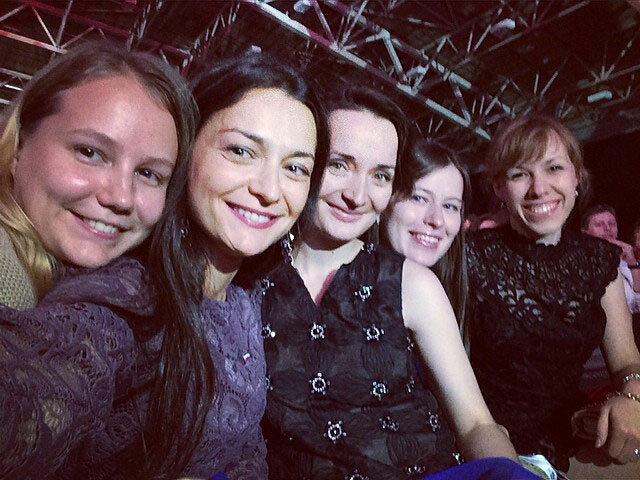 Besides our team Gold medals, Valentina Gunina and I got individual board Gold medals, with 8/10 and a performance of 2651 for Valentina and 7.5/9 and a performance of 2639 for myself. I am posting some of the results below (full results can be found here), and photos. More photos and games will be posted shortly. If you have a smart phone, subscribe to my Instagram feed, and I hope you are subscribed to my email newsletter too. Here are my personal results, I hope to post all of my games on this page soon. 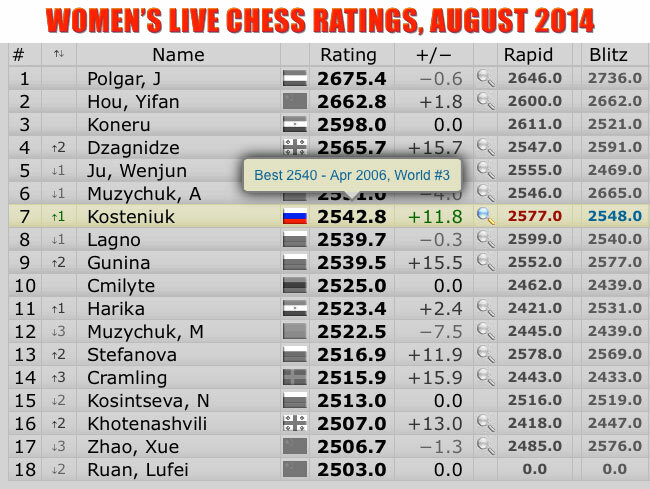 Thanks to my good performance, I am up the world rankings to #7, and have achieved a personal best rating of 2542.8, higher than the 2540 I had achieved 8 years ago. 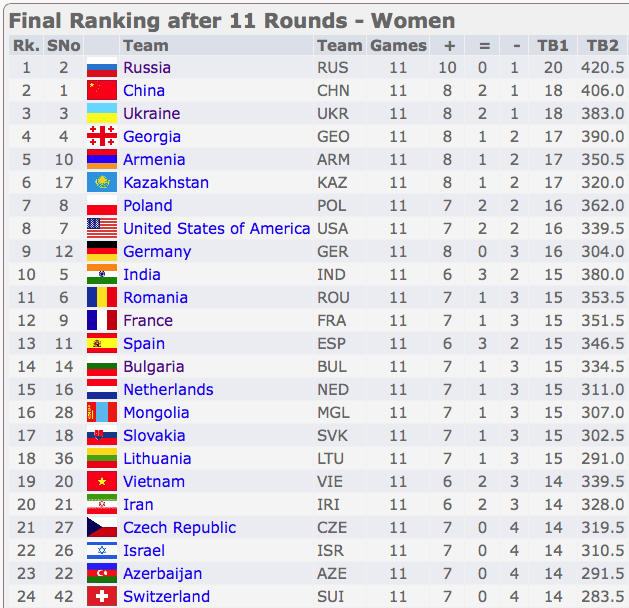 I am the top rated woman in Russia. Great job but totally expected I didn’t expect anything less from you Alexandra and your mates. 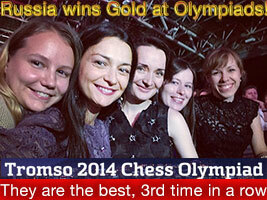 In Chess history it will be a long ling long time until someone dethrones the Russian girls. Kudos. 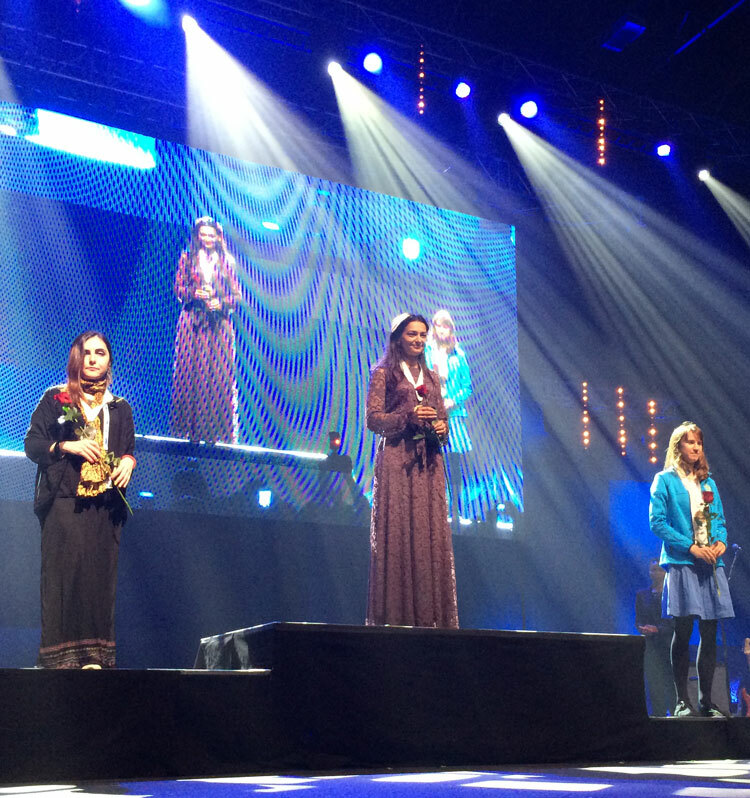 Great show GM Alexandra total how many Olympiad medals you have now? Over six? By the way your cutwork dress in final photo is very stylish. Congratulations splendid performance definitely a tough battle but great to have Chess Queen and her team take the gold. Great.